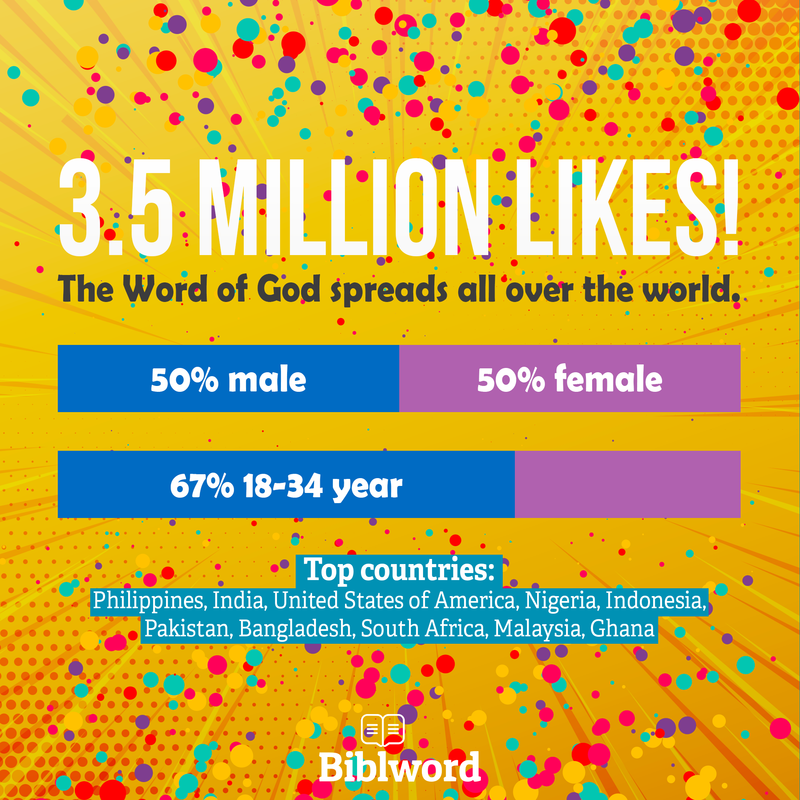 Biblword continues to grow on Facebook. Monday our English Facebook page got it’s 3,5 millionth like. Biblword is in the top 10 of most active Christian pages world wide. Every week 4 million people see our posts, 1,5 million people watch our videos and 40.000 messages are posted on our page, 1.000 people get in touch with our chat team for the first time and 200 people start one of our online bible courses. Biblword is not only active in English but also in 14 other language available. In addition to Biblword, GlobalRize uses an increasing number of social media pages to spread the Gospel of Jesus Christ and reach the world online. Click here to see an overview of all our ministries.